Offering comprehensive wellness services for individuals seeking natural alternative solutions to maintain or regain balance and harmony in their lives. It is a true “Spa for the Soul”. I don’t care how much knowledge you’ve acquired nor countries traveled, I want to know if you’ve given your SOUL a place to live. Does your spine shiver over a wise poet’s words of grace? 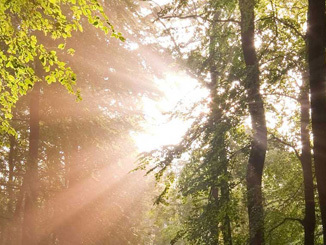 Do you commune with nature long and with tireless wonder? Have you known despair and dared to step fully into your chamber of darkness, transforming your terror into that of a trusted friend? Can you thrill over a star streaked sky of night, tenderly wipe away a young child’s tears, or marvel over an artful masterpiece? Are you a dreamer by day? Lover of night? Does your own vast potential fill you with awe? Do dreams of a peaceful world arouse you to ascending heights of hope? Does the mystery of the universe excite you beyond measure and can you feel the presence of a power greater than yourself in all of your affairs? Then join me on a path of wonder and I’ll meet you in a field of infinite possibilities! Come to The Holistic Center for Soulful Living and become a soul seeking warrior. The rewards are great but it takes focus, determination and commitment, Qualities of any strong warrior! I’ve participated in several programs the center has created and I always come out of it inspired, rejuvenated and hopeful for improving myself, my outlook and my habits. Their programs help to open your heart and mind to fulfilling your heart’s desires and making a realistic plan or expectation on how that can happen. Exploration of what really matters to you and what your heart desires enables you to make small changes in your daily life that brings positivity and possibility to any situation. Participating in these workshops is the best gift you can give yourself. Plus they are totally awesome people living their truth!! - M.S. 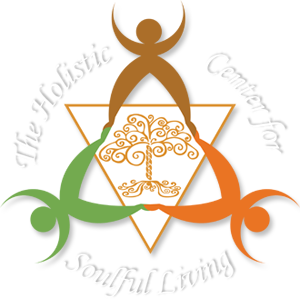 The Holistic Center for Soulful Living is a warm and inviting place that has set out to nourish the soul and touch the hearts of many. 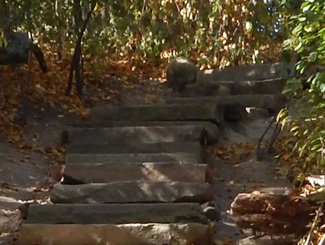 Professionals here have a holistic approach and strive to help the individual discover inner peace and serenity. Each professional here at the Holistic Center for Soulful Living truly dedicates themselves to the people they help each and every day. No matter the service, the individual is guaranteed to be given the tools and skills they need to achieve. - J.R. There are no words that can truly articulate all of the Blessings that were bestowed upon us during our time at The Holistic Center for Soulful Living. The interactions with the center were indeed the catalyst to the transformation that took place on a souls level for both my husband and myself. 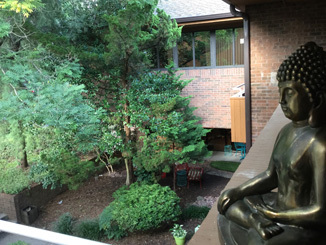 The Holistic Center for Soulful Living, embodies an energy like no other wellness center. Each practitioner “shows up” for you as their client in a way that is unlike any other. The energy that is held in each session is one of complete compassion, positivity, inspiration, insight and sincerity. I believe the philosophy, approach, and mission that The Center embraces and stands for is the answer that you have been looking for in helping you to release anything that is holding you back from healing, finding your truth, and embracing your authentic self. I am SO Grateful for the Blessing of these practitioners in our lives. I can truthfully say that we would not be the people we are today or living the life we are living without their guidance and support. The words THANK YOU could never be enough. In Love & Light, M.S. The Holistic Center of Soulful Living is SO PROUD to announce the launching of a LONG ISLAND division of THE HOLISTIC CHAMBER OF COMMERCE OF AMERICA founded by Dr. Christine Malenda Brudi! This chamber will represent health & wellness professionals & practitioners and supports the mission that together we can create visible and healthier businesses! Supporting HEALTHIER PEOPLE ON A HEALTHIER PLANET! Join us, become part of our inspiring network and highlight your professional business & offerings! Monthly meetings begin in October 2018!